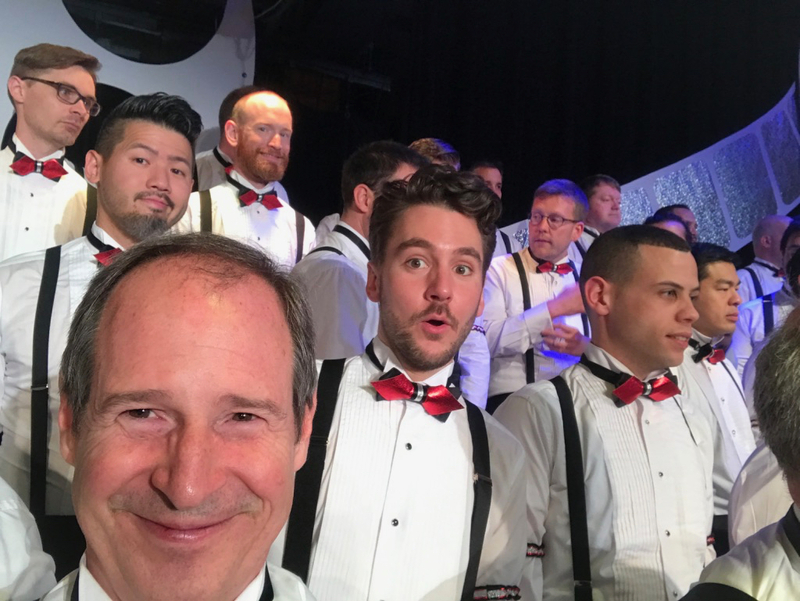 Vancouver Men’s Chorus recently finished a successful run of concerts on Granville Island. After one of our final performances, a middle-aged straight couple came up to me in the lobby. The Chorus was completely new to them. Their daughter had given them the tickets, and they didn’t even realize gay men were involved. I don’t often get to interview such a blank slate. I get that a lot. I have a mime-ishly expressive face, often without realizing it. (Sometimes your eyes just roll.) After forty years of performing, I've embraced numerous directors’ and conductors’ admonition to let the audience see you are enjoying yourself. But I smile almost all the time offstage as well. Everyone says my smile is my best feature. Seriously – eHarmony has statistical data proving this. I thanked the couple and accepted their promise to attend our holiday show in December. As they walked away, I remembered the only time in my life anyone ever gave me a nickname that stuck. Vancouver is heaven. Literally. In the current SyFy Channel series The Magicians, after creating a Narnia-like universe together, one of the twin gods decides to fake his own death. The protagonists locate the missing divine brother in a cedar-and-glass house overlooking Vancouver. The city is spectacularly gorgeous, diversely cosmopolitan, and just a thirty-mile drive beyond Trumpland. 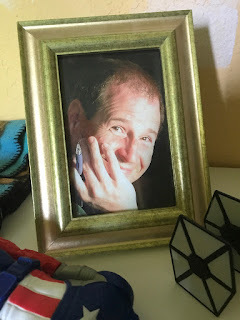 As a happy, geeky, dreamy kid, Vancouver was my green heaven. 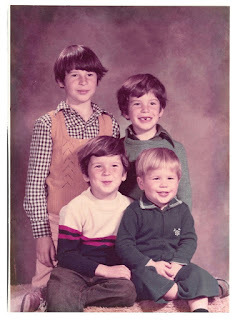 I had a loving family, thrived at school, made friends, and explored my beautiful world. Our tiny tight-knit Mormon congregation was two thousand pre-Internet miles from the home office in Salt Lake City. We were an intrepid pioneer outpost in the raw wildness, embedded in an idyllic and welcoming community. Imagine a group of Orthodox Jewish families from Brooklyn washing up on the beaches of Bora Bora in 1966. Although I was prodigiously smart, I was also terribly naïve. This was before the Matrix connected everyone to everything. Long before Will & Grace. 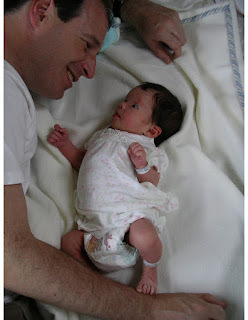 I was the eldest child of a very young couple who met at Utah State University and then had the extraordinary nerve to start life over in a new country. We were all discovering who we are. Like my children, I enjoyed hanging out for hours with friends from the neighborhood or church. Unlike my children, I also reveled in going outside and playing. (iPhones and iPads hadn’t been invented yet.) However, most of my discoveries happened while reading. Canadians have a world of books to choose from. I was a devotee of the Brits: C.S. Lewis, Joan Aiken, J.R.R. Tolkein, Roald Dahl, Lloyd Alexander, Malcolm Saville, Enid Blyton…. If you asked me what I expected junior high school to be like, I would have described the Second Form at the English boarding school Billy Bunter attended. It was 1976. Summer after sixth grade. I had just turned twelve -- still catastrophically innocent, but on the threshold of adolescence. Our Canadian-Mormon boy scout troop went on an amazing road trip to Grand Canyon, Bryce, and Zion National Parks. We watched the bicentennial Fourth of July fireworks in St. George, Utah. On the drive home to Vancouver, we stopped in Provo to shower in the locker rooms at Brigham Young University. A month later my family moved to Brigham City, Utah. Dad had reached the point in a career when you think management is stifling. He had already experimented with remodeling our bungalow, and was itching to build his dream house. My grandparents were getting older, and it made sense to be closer to family. 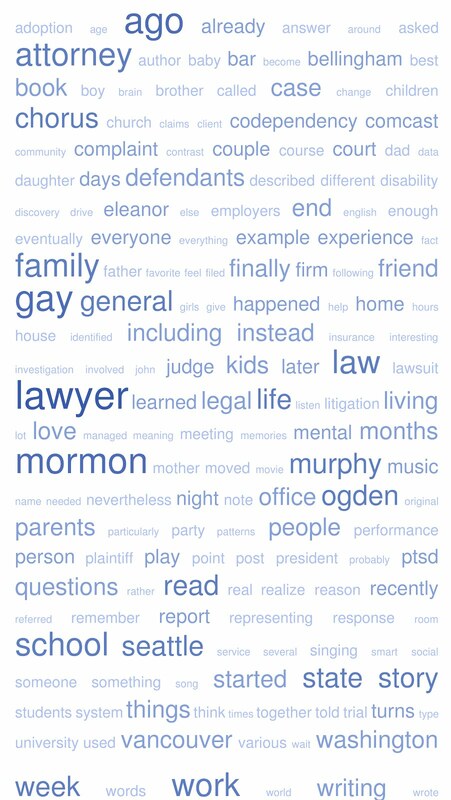 And more Mormons. 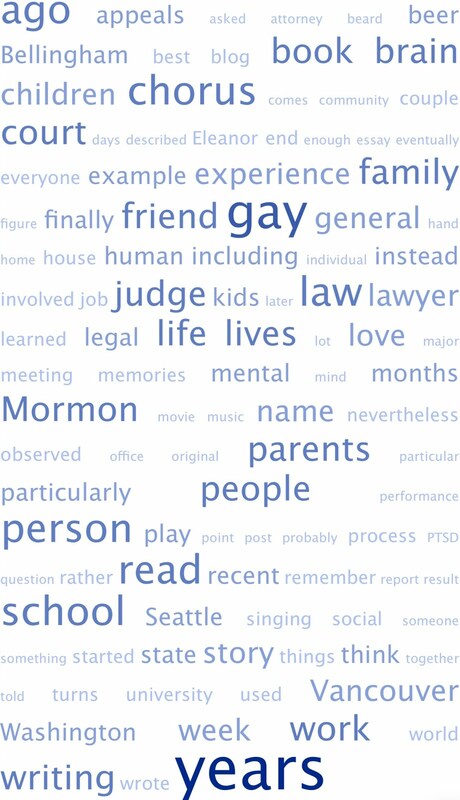 Many, many more Mormons. Brigham City is a sixty-mile drive north from Salt Lake on I-15. It is twenty miles west through the canyon from the farm in Cache Valley where my dad grew up, milking cows twice a day. My grandparents still lived on the farm, but my grandmother was beginning her long decline into Alzheimer’s. Dad wanted to continue working as an adjuster, but for himself instead of the Man. My parents saw a niche in Brigham for an independent agency. And they found a quarter acre of vacant property on the edge of town, with a spectacular view west across the water and mountains. Dad had already designed an amazing house to fit the lot. We rented a place a few blocks away for a year, and started building a house where four boys could each have his own bedroom. 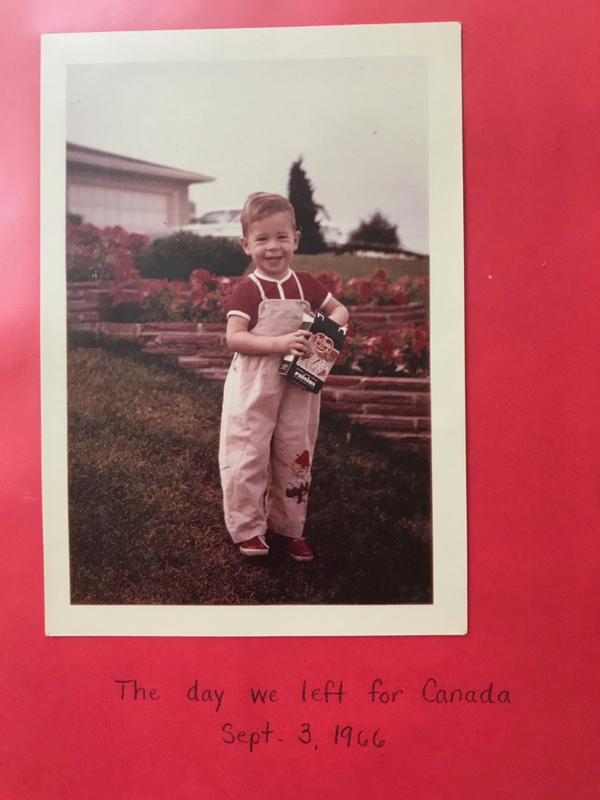 I’ve traveled the world and learned a lot about “culture shock” since 1976. All of the highs and some of the lows I experienced in Utah were perfectly normal. Most of the harms were unintended. No one foresaw the perfect storm. My memories from this early Utah period are fragmentary. 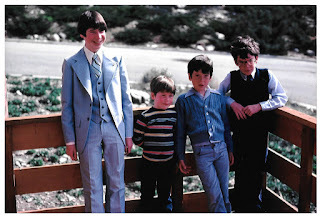 The only intact image I retain is of the first kid I met, who lived down the street from our temporary rental house. It’s his obituary picture, from the small-town weekly where my high school best friend later worked. Soon after we arrived, the neighbor boy was killed in their basement in a firearm accident involving his younger brother. In hindsight, this memory marks the start of what we would all agree was the worst period of my life. Until last year. Like a movie starring Judy Garland, Mickey Rooney, or Zak Ephron, it all started with band. 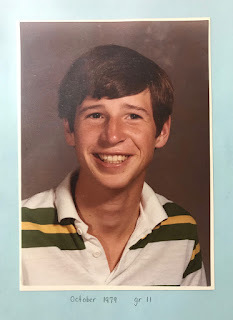 Because we registered just before the school year started, my parents and I toured the junior high campus as the staff labored to squeeze me into any remaining educational crevices. Including seventh grade band. I’ve always loved music, but they didn’t have an instrumental program at my benighted Canuck elementary school. I’d never even seen the various band instruments. I tried several to see if I could produce any sound. In hindsight, someone should have told me not to pick the flute. 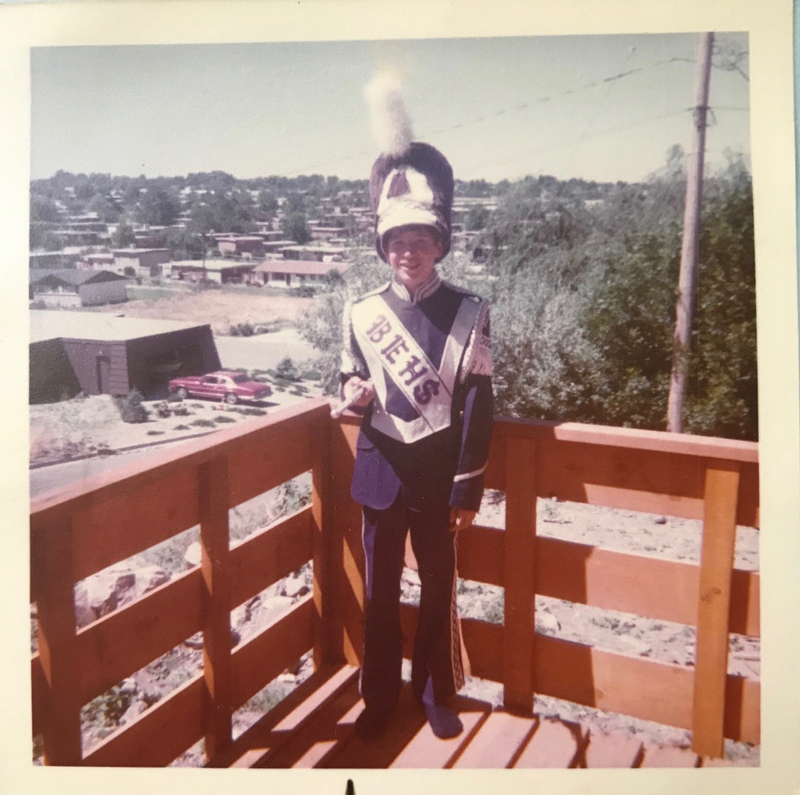 In the Brigham City of 1976, only girls and fags played the flute. For one year of junior high and four years at Box Elder High School, student pop. 1,836, I alternated first chair with the school’s lone black student. To this day, whenever I see a young male flautist, I admire his courage. I also wonder about the fascinating interaction of psychological forces that can get an almost-pubescent boy to strike a fife pose. Instead of becoming something safe and sensible and butch, like a drummer or trumpeter. For the first time, my school year began after Labor Day. Not Labour Day. I started turning in classwork for my hodge-podge of seventh grade classes. Within days, it was clear I did not fit in. At all. Anywhere. Not just socially – our nurturing Canadian elementary school had left me years beyond the normal grade level in every single one of my classes. Except physical education of course. I saw my IQ test results after a meeting once. 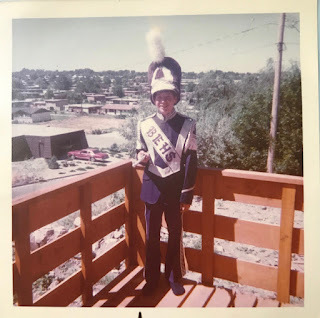 A month into seventh grade at Box Elder Junior High School in Brigham City, Utah, the decision was made to move me into eighth grade. Immediately. 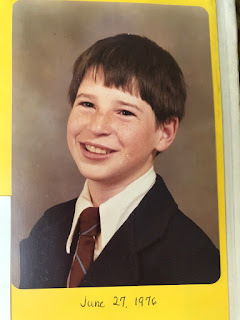 I remained in just one of my original classes: the only gawky, Canadian-accented, smart, gay, clueless, short, skinny 12-year-old freshly-promoted eighth grader in seventh-grade PE. That ain’t it kid. Oh, and I went from being the only Mormon in a diverse and tolerant urban school, to an isolated farm town where eighty-five percent of the student body was Mormon. An environment with a lot of implicit bias going on. And even more explicit bias. The life-saving It Gets Better Project should put my junior high yearbook photo on a horror poster. In August 1976, my imaginary gay Jewish doppleganger would be returning to New York after a decade in Bora Bora, just in time for his Bar Mitzvah. No doubt with a Tahitian accent, still wearing his grass skirt. One can only hope he received kinder treatment from the seventh- and eighth-graders at his new Brooklyn yeshiva than I did from the Mormons I encountered in Utah. 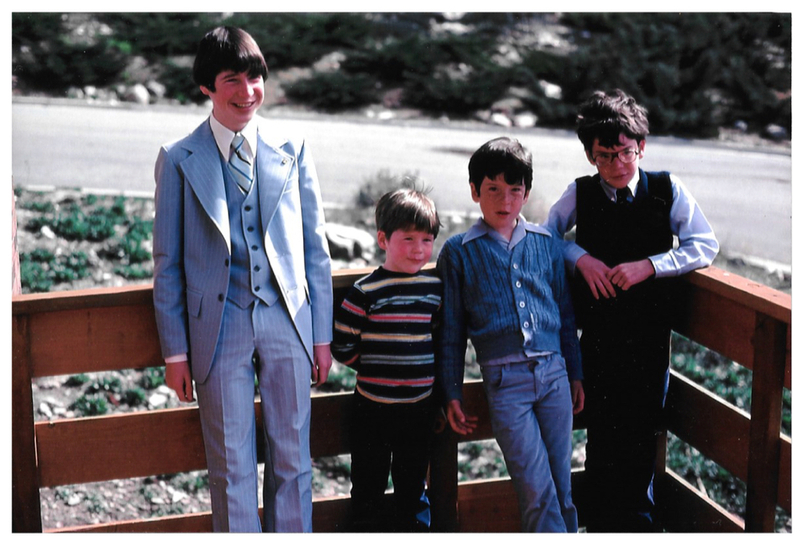 Speaking of doppelgangers: This fall my brother’s family, finally reduced to one at-home kid in middle school, is moving from Bellingham back to Vancouver. I should warn them this might not be the ideal moment in a boy’s adolescent development to move to another country, even a heavenly one. But first I will berate my brother for leaving me trapped in the States with my nephew's two envious middle school cousins. I do not let myself imagine what that 1976-77 school year could have been like if we had stayed in Vancouver instead of moving to Utah. I cannot imagine imagining what the following forty years might have been like if things had gone differently. One day that fall, a jock in eighth-grade math class pointed out to everyone I smiled a lot. It was true. 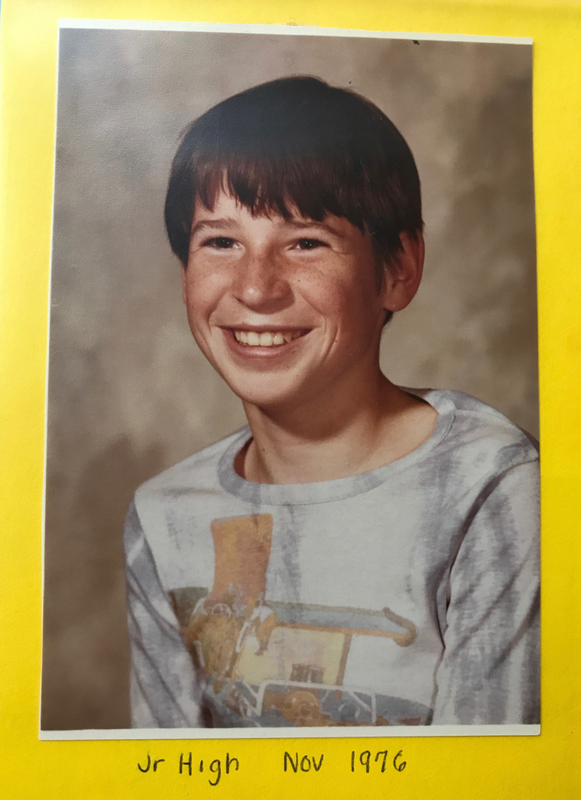 Overnight, it seemed like the whole eighth grade called me “Smiley.” I kept smiling, ever more aggressively, the entire time I lived in Utah. I have two kinds of smiles. Actually, I have two versions of each kind of smile. There’s "Bemused" A&B, "Proud Papa" A&B, "Sardonic" A&B, the overused “I’m Having the Time of My Life” A&B, and so on. As far as I have been able to tell from survey data, each pair of smiles looks identical. n biology this is called convergent evolution. For me, the only difference between the two versions is the B smiles all hurt. “Bruxism” is another unpleasant anxiety symptom. [Ed. Note: We’ve already had our frank chat about trichotillomania, i.e., compulsively pulling out your hair.] Having bruxism means you grind your teeth. Night and day. I feel a bad day the length of my jawbone. Especially if I’ve been smiling. In contrast, I feel the A smiles more in my fat cheeks, where it doesn’t hurt at all. But no one else can see that. Like many people, I don't like to be in the picture. Unlike most people, the reason I hate pictures of myself is even I cannot tell whether the smile in the photo is real. These may be the only two images of me after age twelve where I'm absolutely confident the smile is genuine. If that straight couple had come to opening night of the recent Vancouver Men’s Chorus concert, I know they would have loved the fun but less polished show. They might have not noticed me fiddling with fuzzy green things offstage to distract myself from pulling my hair out. But unless they are both legally blind, they would have seen an anxious second tenor overwhelmed by the scrum of gay men backstage, and remembering such a low percentage of his choralography he should not be placed in the front row. Ever again. Hint, hint. Nevertheless, I'm sure the nice Canadian couple still would have buttonholed me in the lobby afterwards. Because they would see exactly the same smile. 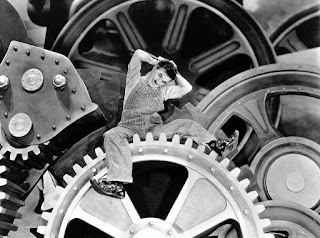 Charlie Chaplin in Modern Times. Chaplin composed the music for the song "Smile" for the movie soundtrack. After lyrics were added, Nat King Cole made "Smile" a standard.